New Ranet OLAP is officially released and available for download! Here is a list of new and updated features we have introduced. 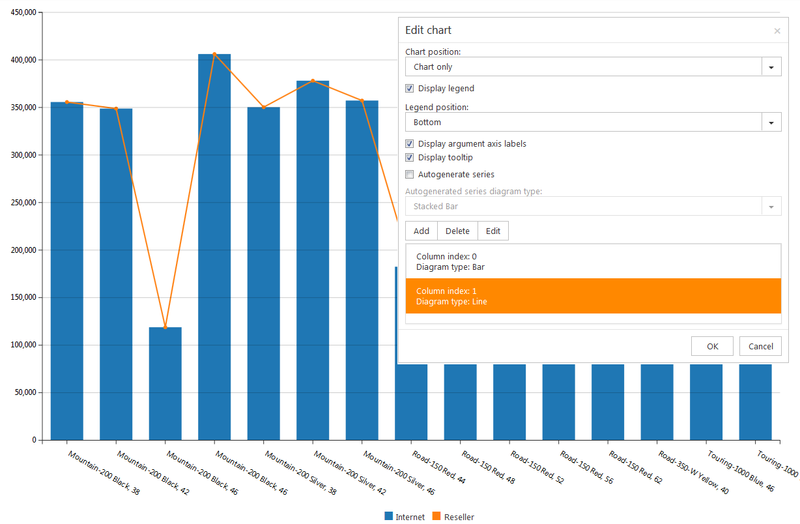 We have added a fully functional chart control to the new version of Ranet OLAP Pivot Table, thus giving the users an opportunity to visualize data in their reports. There are several types of diagrams available, with the opportunity to customize the report and diagram view according to the users’ needs. There is also an option to manage diagram view settings - the end user will be able to create different types of views to see only the portion of the data he/she requires. 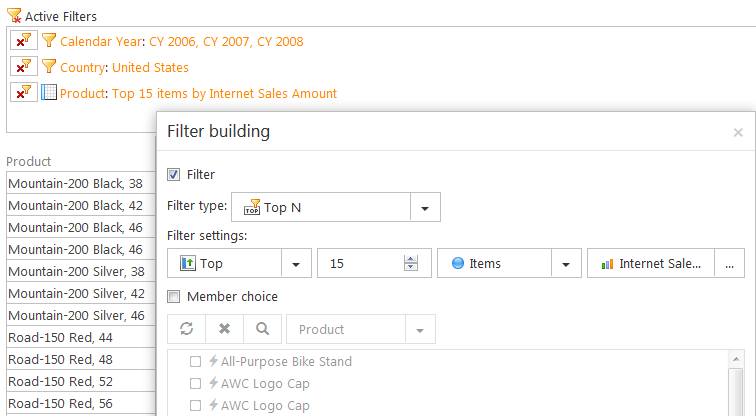 Active filters panel shows all filters that have been applied to the data the user sees in the pivot table. The users will have an opportunity to manage the filters by creating, editing and deleting them according to their business needs. This panel has been added mainly for business users. They will be able to see where their data comes from and manage it without having to delve deep into the metadata. Two new visual themes, Metropolis and Office 2010 Blue, have been developed and implemented in the pivot table. It will ensure good integration of Ranet Pivot Table in existing solutions that have their own visual style. 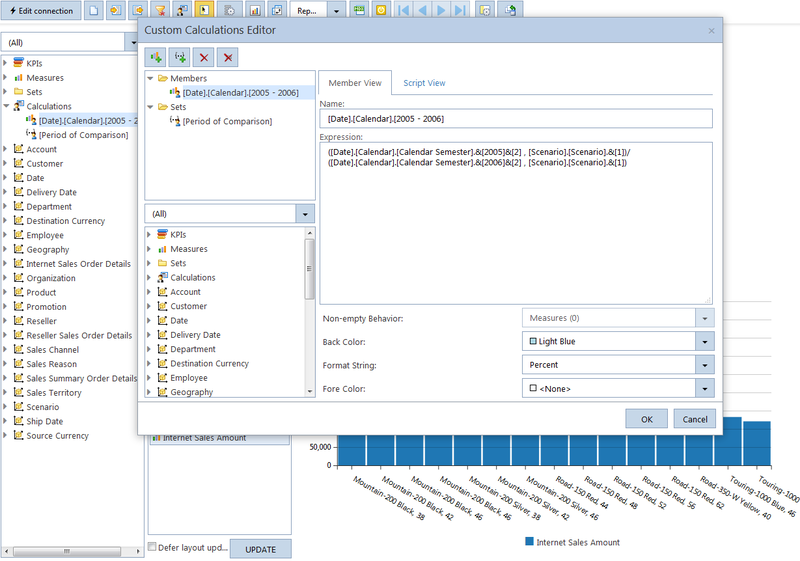 We have modified the MDX query generation algorithm for actions in the pivot table (expand/collapse/drilldown). The new algorithm will generate a considerably shorter MDX query and will help to avoid modification of the result received from SQL Server Analysis Services. The number of API methods that can be used to work with the data right from the business application has been expanded. We are now working on a new MVC demo that will show how to manage the lifecycle of an SPA (single page application) Ranet Pivot Table. It is to be deployed on our website next week. This new functionality is available in both WPF and HTML versions. You can download Ranet OLAP for HTML and WPF here! And, of course, if you have any questions don’t hesitate to contact us.